Round 6: What to do with those rooks? 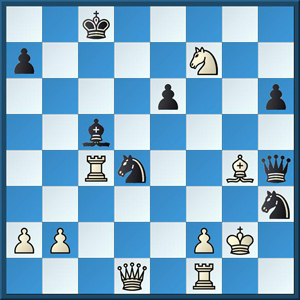 25…Nf4+ 26.Kg1 Nde2+ and resigned because of 27.Bxe2 Qg3+! and mate. An interview with Philippine GM Wesley So, right after his interesting draw with Maxime Vachier-Lagrave. So also talks about Webster University, where he’s a freshman. What to do when computer breaks down?